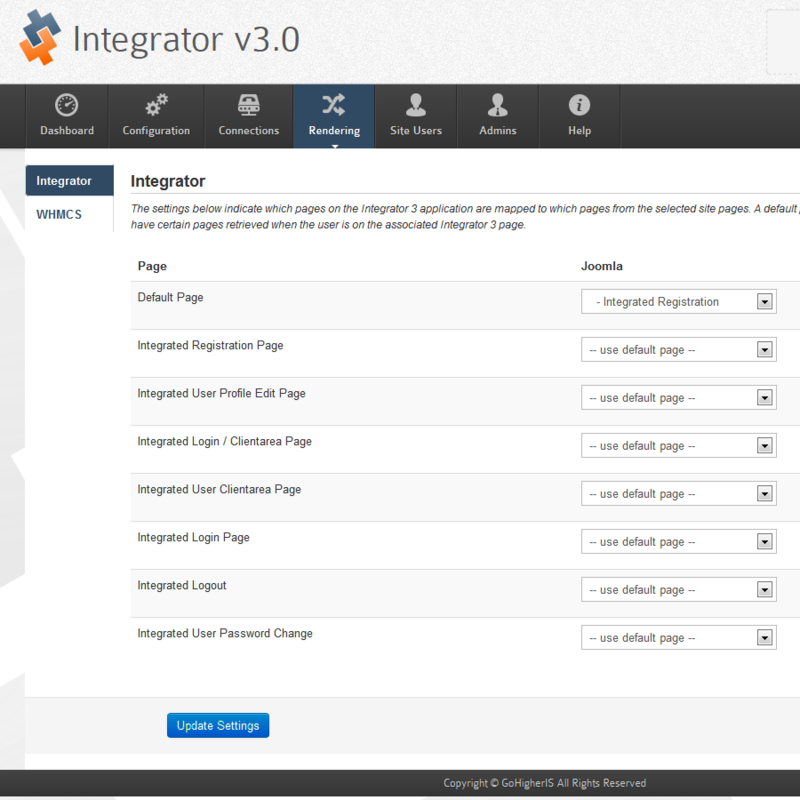 Integrator 3 provides several options for integrating your web site applications. 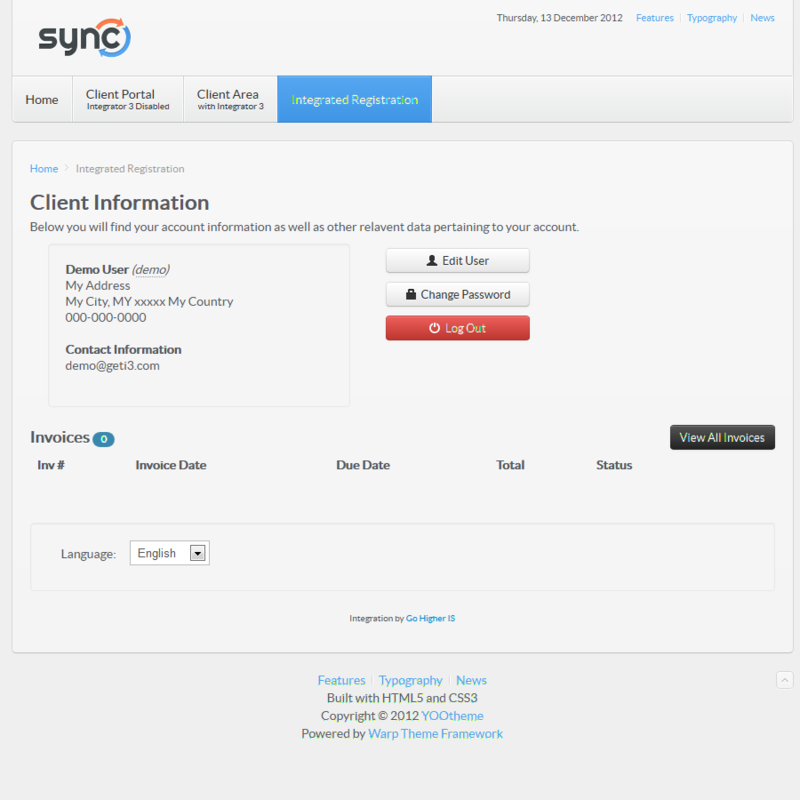 Joomla, Wordpress, Kayako Fusion and WHMCS can all be integrated through a single point, providing reliable, consistant and clear integration between the various frameworks. 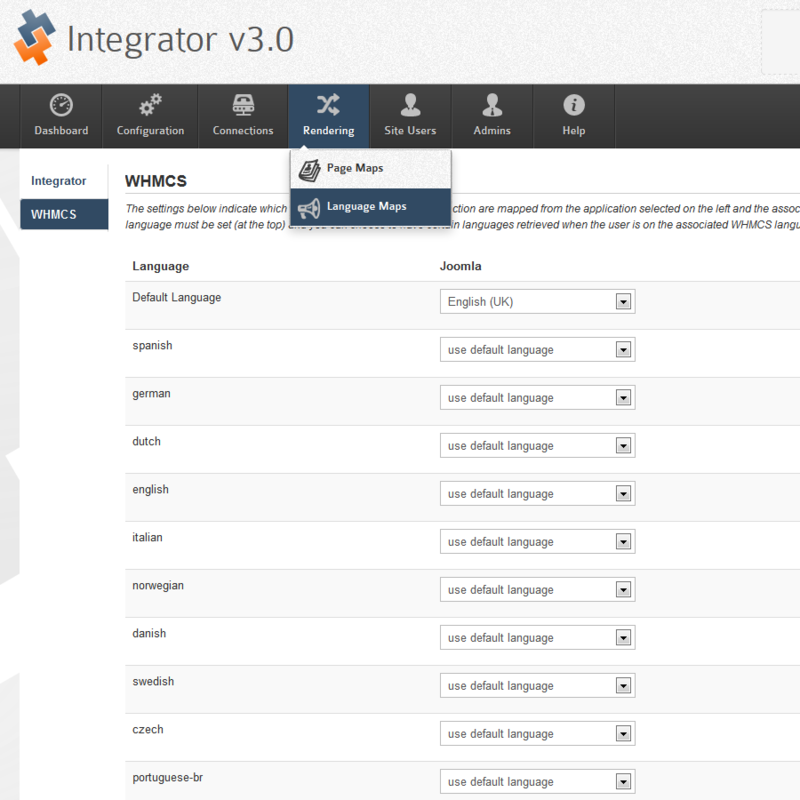 With Integrator 3, you can create pages in Wordpress that get pulled and wrapped around your applications, allowing you to create custom pages and content displayed for any individual page on your application. 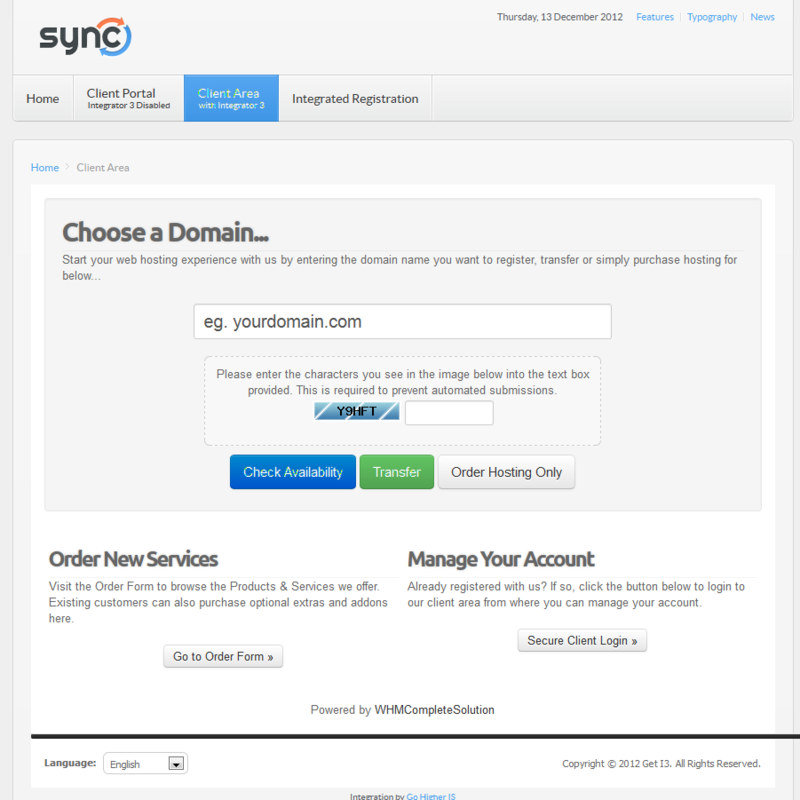 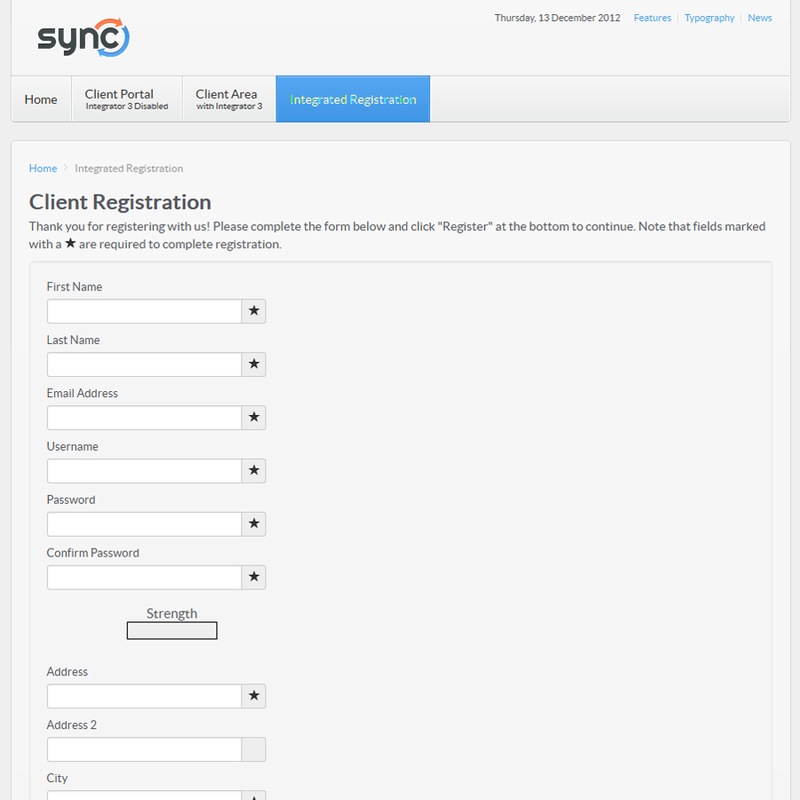 Provide a single location for registering on your entire site with Integrator 3! 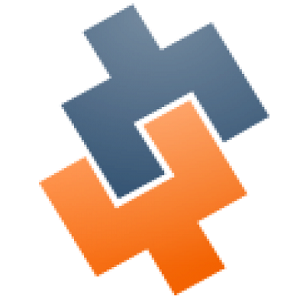 I3 intelligently knows which fields your applications need to fully register a user and requests those fields one time, reducing redundant field entry and providing a streamlined and clean registration process for your users.